The goal of the project is to develop the prototype technologies for a triple CubeSat that will be self propelled (chemical rockets, or ion drive) from a geosynchronous (communications satellite) launch to the moon. The chemical rocket would have a lunar lander, and the ion drive spacecraft would go into lunar orbit. 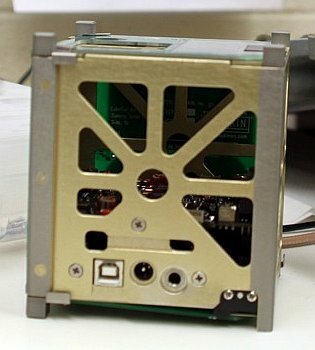 The single CubeSat for the launch opportunity will test the navigation system and use NASA’s GPS Enhanced Onboard Navigation System (GEONS) software, a space qualified GPS receiver and a star tracker camera (being built a Norwich University). It will have an onboard computer system, solar power supply and radio transceiver to communicate with our ground station at Vermont Tech. 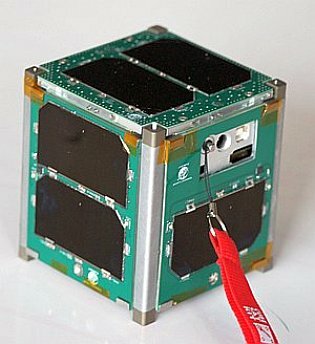 Vermont Lunar Cube’s primary mission is to make navigation estimates for a future moon project, in which another cube satellite will orbit the moon. But it’s also a prototype project to show that it’s possible to explore space on a budget.